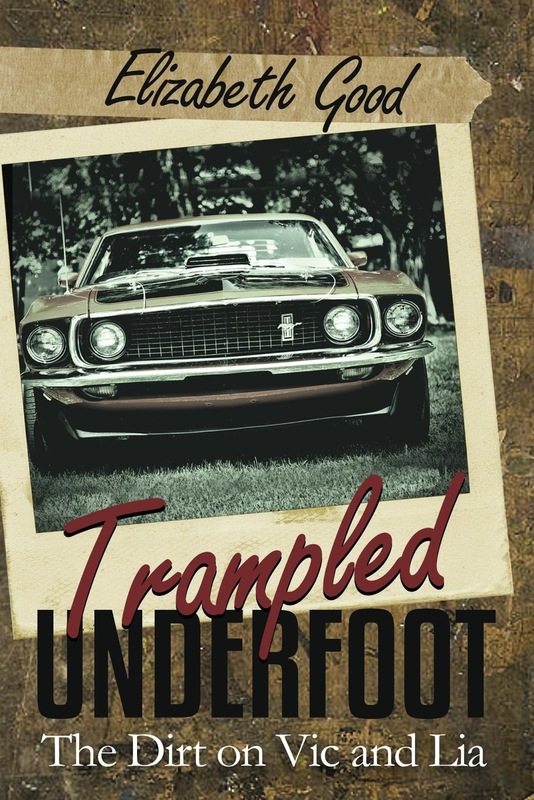 US author Elizabeth Good's latest novel TRAMPLED UNDERFOOT looks like a fascinating read. Let's find out some more about it. My inspiration to write both of my books sprang from a burning desire to come to terms as to how and why I am where I am today. Both of my books are fictional but based on real life events which happened to me. I started "looking back" and decided that Fate played a huge part in my life as a teenager and the direction my life went was shaped by some pivotal moves of which I had no control over. These two books, Trampled Underfoot, and the first book, Just Another Sunday, which is a Coming-Of-Age story, explores the interplay between Fate and Free Will Choices. There is no one (living or dead) on earth who is immune to these mysteries of Life. I'm certain that we all, at one time or another, have said something off the cuff like this: "As Fate would have it . . . " So circumstances that are within and beyond our control shape our destiny in Life. I wasn't planning on writing Trampled Underfoot. I had toyed with the first chapter and then left it for many months as a very rough draft. But my friends and family had urged me to finish the story as they were hungering for more. So once I was on a roll Trampled Underfoot was completed in one year, whereas Just Another Sunday took five years from start to finish. I must say that Trampled Underfoot is well written and I am very proud of this book. When Fate and Freewill choices collide - Trampled Underfoot - an explosive, dirt-filled story. My favorite writing tip is this: Make believe you are Bob Ross, the talented and famous T.V. show oil painter with the big Afro haircut. I'm sure you've heard of him. In a soft-spoken voice he showed us how to paint gorgeous landscape scenes within one-half hour's time. Writing a book is much like painting. Just like an artist who adds layers of paint to the canvas, a writer needs to adds layers and layers of descriptions to each scene. Each layer of words - dialogue, voice inflection, mannerisms, character intent, setting of where the scene is taking place, etc - adds richness and depth. These are elements which make the story come alive in the readers' imaginations. Not sure yet. I've been prodded to write yet another installment of the Lia Benedict and her family but that story is complete with Trampled Underfoot. My youngest sister is urging me to write a story that has nothing to do with Lia Benedict. I've been thinking about it but haven't come off the great ride I'm on with marketing Trampled Underfoot. When time goes on my mind may settle down enough to conjure up a totally different genre. I love writing. It's exhilarating and frustrating and rewarding.
. . . Or do they? The effects of Fate were immediately felt by the Benedict family after their move in 1968, from New York City to New Jersey, and reverberate far into the future in this dramatic and fast-paced, stand-alone follow-up novel. Trampled Underfoot takes us on one more nostalgic journey through the 1970s and, once again, Ms. Good blurs the lines between true life events and fiction-seamlessly picking up the story from when we last saw Lia Benedict at the crossroads of life. 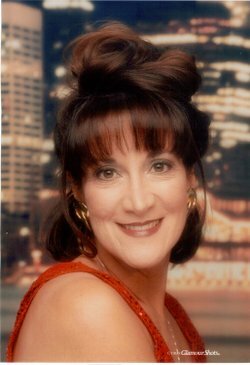 It's spring of 1976 and Lia, the hopeless romantic, is now 23 years of age and, whether by choice or by the hands of Fate, had recently become Mrs. Vic Somers. She'd adopted the same controversial beliefs first introduced by her mother, Marie, upon her father's untimely death in 1970. This latest development creates a deeper rift in relations within the Benedict family. Vic Somers followed his bride's footsteps in her quest for righteousness and God's blessing, but has Vic's defective heart really changed from the cheating ways it once possessed? Downtrodden, Lia's faith is shaken and her confidence crushed, but what can she do? Nothing. "My life's been set in stone and the cement is hardening around my feet." Immobilized and in denial, the dogma of a strict religion places an unhealthy fear of The Judgment Day if she makes any missteps in the here and now. Good tip too about building up in layers. Patsy, Thank you. I kinda like the Title as well. It fits the book perfectly. And thank you. I loved Bob Ross. May he rest in peace. And a big thank you goes to Maria for the interview. It was a pleasure.